Account owner may assign managers for the account with the access to reports and points administration. 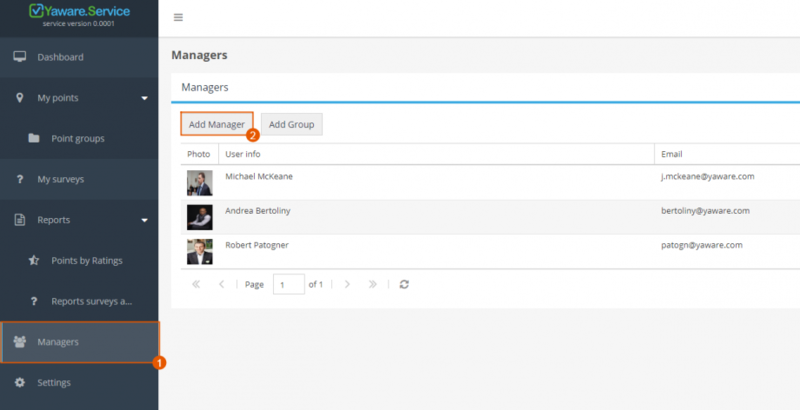 To do this click “Add manager” button in the “Managers” menu. 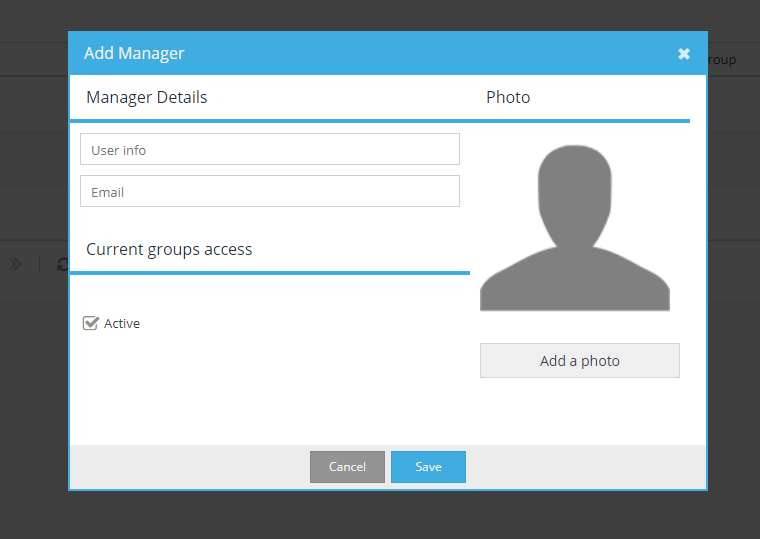 Fill in Manager’s information (name, email, photo) and press “Save”. Added manager will appear in the list.